You’ve tried to start your car, but now the car won’t start, and you hear a clicking noise. This usually means your battery is low on a charge and needs to be jumpstarted. 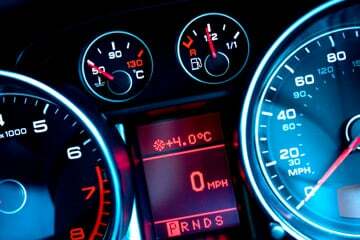 Here’s a step by-step guide on how to do just that, and learn more about your vehicle in the process. To learn more about specifics for your own vehicle, try consulting your owner’s manual. 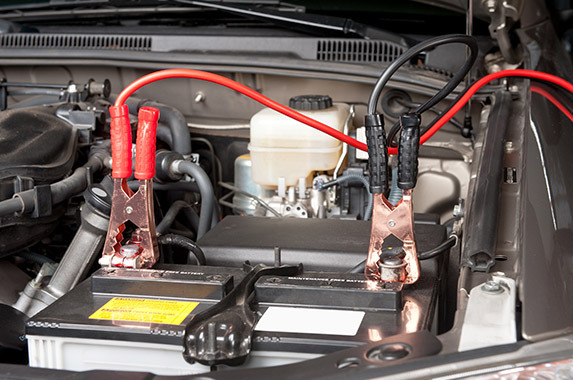 First, find another car in good condition, which you can use to jumpstart your own. Park / put them in neutral close to each other, and locate a set of jumper cables. Ensure both cars are off. Next, attach the positive ends of both sides of the cable to both the “healthy” car, and the non-functioning one. Attach the negative (black) end of the cable to the negative terminal on the healthy car. Instead of attaching the negative portion of the cable on the other side to the unhealthy car, attach it to a metallic, unpainted portion of the suspect vehicle. In summary, attach the positive ends on each side of the cable to both the unhealthy and healthy vehicles, and the negative side on one side to the healthy vehicle, while attaching the negative side on the unhealthy car to an unobstructed metal part of that vehicle. You may now start the functioning vehicle, and wait two minutes. Try starting the dead car. If it doesn’t work, wait another minute and try again. Once you get the dead car to start, you may disconnect the jumper cables starting with the negative end. To ensure proper safety, do not touch the metallic ends of the clamps and use common sense. Success! Now take the car that had a dead battery for a drive, to let the alternator recharge the battery. You should be good to go afterwards. If this didn’t work, and the vehicle has still not started, your alternator or battery may need replacing. If you need a professional technician to come to you to inspect the vehicle as well, feel free to let us know by booking an inspection or replacement.